There are many different styles of fencing, as well as materials, which may be suited to your backyard needs. At a minimum, fencing should be sturdy enough to avoid collapsing yet tall enough that children are not able to climb over. Home insurance and state laws may also have requirements that must be met, further supporting carefully selection. This option is popular due to quick set-up that can happen soon after your swimming pool installation. It is transparent, simple to use and can be easily removed. Even with these benefits, it enjoys high safety ratings. Though a more expensive route for pool safety, the transparent nature of this tempered glass structure provides a modern look and undisturbed views of your swimming area. It is harder to keep clean, but durable and highly rated. It’s a matter of preference that decides whether you want wrought iron, wood, aluminum or vinyl fencing, but this one of the most versatile and cost-efficient fencing options. 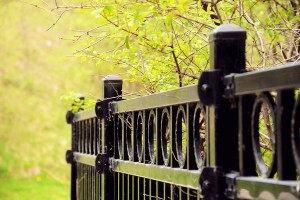 While they come in a variety of styles, wrought iron fencing can rust over time and make maintenance more difficult. Wood fencing may create a more obstructed view but can be customized with color and style. If you are considering a swimming pool installation, you can be sure of the need for an enclosure to offer safety and insurance compliance. Check out the types of fencing options available, and choose a material and design to compliment the look and feel of your backyard oasis.